Das Museum bewahrt und präsentiert die Kultur Quintessenz der ethnischen Minderheiten im zentralen Hochland. Es hat mehr als 10,000 Objekte und erhält über 100,000 Besucher pro Jahr, one third of whom are foreigners. Dak Lak Museum of Ethnology is located in the center of Buon Ma Thuot city. 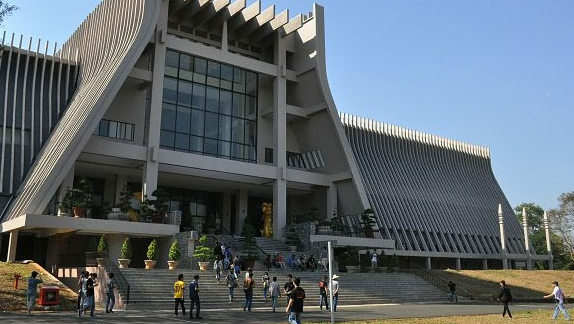 It was built on the grounds of the former residence of King Bao Dai, the last emperor of Vietnam, nearly 100 vor jahren. Surrounded by a shady garden, the museum looks like a Rong- a communal stilt house- or the long traditional house of the Ede. Von weit her, it looks like the traditional house of the M’Nong. Formerly called the “Dak Lak traditional house”, it was officially renamed “Dak Lak Museum für Völkerkunde” in 1990 and renovated in 2008.